Want to do a counted beaded kumihimo pattern? Haven't quite gotten the handle on the bead spinner? I love these easy counting trays. 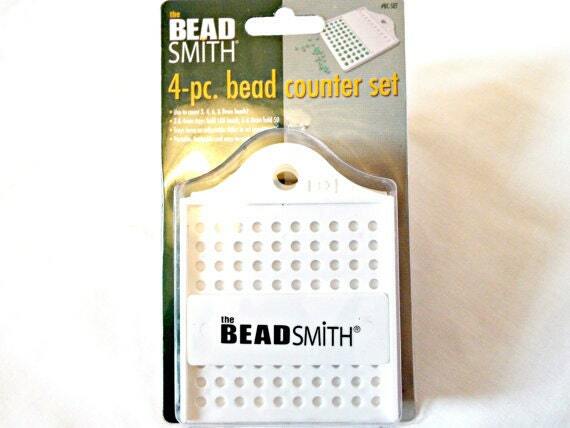 They work perfectly for all those beautiful beaded kumihimo designs. This set includes sizes: 3, 4, 6 & 8mm and each sturdy plastic tray has a sliding divider that blocks off extra spaces so you collect only the breads you need. 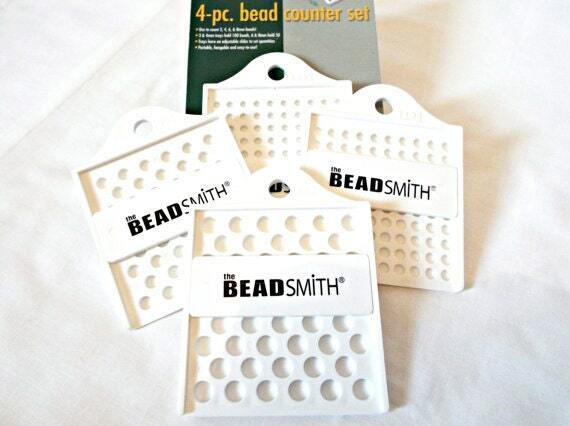 You can measure up to 100 beads with the 3 & 4mm trays, and up to 50 beads with the 6 & 8mm trays. Haven't used this yet, but hope it saves me some time counting beads. Very quick shipping.